Who will be the first World Champion in Offshore 3J? Latest world champions to be crowned in Öregrund were Marcus Johnsson and Jussi Myllymäki in Offshore 3C. Next will be the world’s first world champions in Offshore 3J. It is the Nordic’s strong youth / entry class V60 as UIM made international. 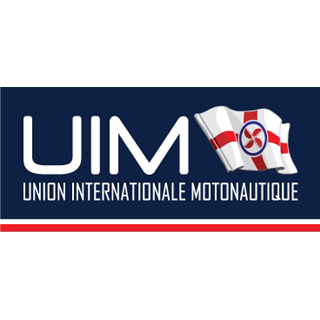 Because the number of active boats and countries meet the requirements for the World Championship, then the UIM’s offshore committee (CominOff) decided that a World Championship could be given 2019. Öregrunds Racerklubb (ÖRK) got the question and accepted yes the premise of the three races had to run in two days. We feel a little worn after last this year’s World Cup in Offshore 3C, but at the same time we all have good things in fresh memory and even what this can do even better. What can Öregrund offer to them who should make up on the World Cup title? We hope to repeat last year’s success where the World Cup in Offshore 3C was an important element, just like this year’s World Cup will be. If there’s something that the Swedes know about the powerboat racing sport it is Roslagsloppet and if there’s something they know about Öregrund it is its beautiful sunsets and boat week. The World Cup competitions are held on Monday (inspection and driver’s meeting), Tuesday (two races) and Wednesday (last race) last week in July (29-31/7). For those who would like to stay and participate in the Roslagsloppet on Saturday (3/8) they are very welcome. The courses for the World Cup will be relatively simple since we can have 13 year old who are competing. The courses will therefore also be true audience friendly, where you basically can see the boats all the time. This also means that they will be a lot of turns. There are also rumores about competitors from both Malta and other parts of the world outside the Nordic region. We hope for at least 20 participants, but that may well be up to 30. Many racers who previously run in the V50 / V60 talk about to set up and run just because it is a World Championship and there are many boats which is both here and there that just need a motor (BeeCraft, Aero, Griffon, Argo and others). The Boat Week program is not complete set yet, but likely elements are the traditional ones bathtub race (bathtubs with 15 hp engine), Open Sea (all with boats over 25 knots may drive the northern part of the Roslagsloppet), snowmobiles on water, hovercraft and draft yachts. Just as for the World Cup last year, we will have a parade through town with price for best suit. This year’s theme is Disney. The question is whether we can see someone dress up for Pillan’s favorite from Bernard and Bianca, the dragonfly Evinrude. More information coming soon about the World Championship, but we hope to offer living in both lecture hall in school, to camping cottages and hotels. Lunch will be served to all teams daily and maybe a cinema one of the evenings. One of the children’s (and many adult’s) favorites from last year’s World Championship was optional ice cream for 20 SEK (2 €) at the local ice cream saloon. So welcome to Öregrund this summer and a really great week with a lot of boats, engines and excitement!